(Updated for 2019) Looking for information on college softball recruiting is a frustrating experience. It seems that there are lot more websites out there interested in selling you their recruiting services than providing information. But such informative sites do exist and some of them are actually recruiting services. However, before you decide to hire a recruiting service, use the following sites to educate yourself on the college softball recruiting process. If you’re only going to read one thing, Top 5 Mistakes Softball Recruits Make, is it. Some of the mistakes includes lists of points a-j. One thing to keep in mind is that the last “mistake” isn’t for everyone. It’s absolutely possible to be recruited to play softball at the college level without paying for expert help. You just have to be willing to put in the work yourself. If you’re serious about playing softball at the college level, you need to know the rules for recruiting. Not knowing the rules is not an acceptable excuse for violations. Knowing the rules will also allow you to make it as easy as possible for coaches to recruit you. You should download the NCAA Guide for the College-Bound Student-Athlete and the Play NAIA publications. And if you have any questions, call the organizations and ask! You can pay someone to help you through the college recruiting process or take advantage of the experience of those who have already gone through it. There are multiple softball specific forums but one the biggest and most active is Hey Bucket. The Softball Channel’s Fastpitch Forum also includes a topic just on college recruiting. The third place to visit is the Athletic Recruits section of College Confidential. 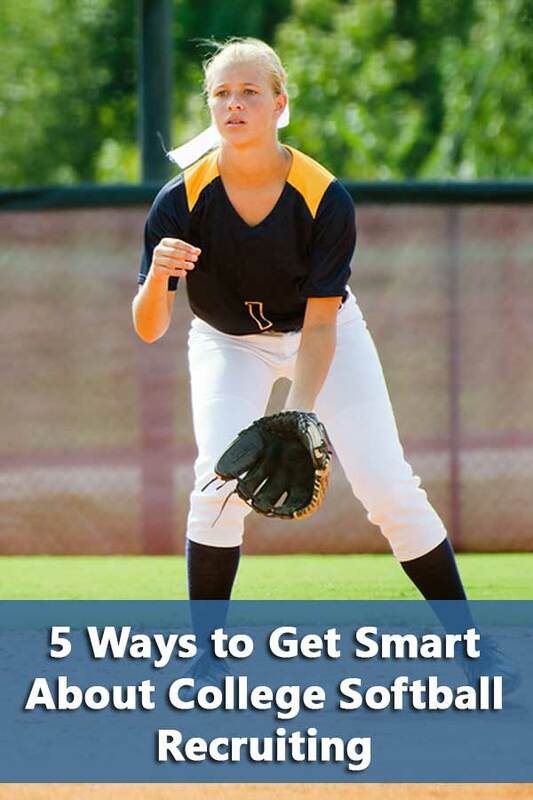 While not specific to softball, it provides a wealth of information on the college selection process. How College Softball Coaches Recruit. This article is a reminder that other divisions exist besides D1. In fact, the majority of softball players won’t be playing at D1 so understanding their coaches’ recruiting issues is a good thing if you’re serious about playing at the college level. The Coaches Perspective. This is a great article from the Willamette softball coach on recruiting from the D3 level. Given that D3 has the most softball programs in the NCAA, this is a perspective worth considering. Video. Video is a key component of the recruiting process. You don’t have to pay for an expensive video service with Hollywood level production. I’ve listed 8 websites on how to make a recruiting video. These are all pages stuffed with information on just about every aspect of the college softball recruiting process. There will be some overlap between the sites, but all are worth a visit. Firecrackers-Arizona Recruitment Information. Take the time to read through all the material here. Pay particular attention to the Myths & Realities section-not all colleges fully fund their allowed scholarships. 15 Sample Athletic Resumes and Letters. This is my list of all the resources available to create your athletic resume. There isn’t “one” correct way to do. I’ve also included links to sample letters for contacting coaches because it’s easier to get recruited if you let a coach know you exist. Fastpitch Recruiting Web Source. This is a FAQ with Cathi Aradi, the person in the interview I listed in the Must Read section. She answers questions on everything from college summer camps to early signing to specific skills for a college catcher. Cindy Bristow’s Softball Excellence. The Dugout section offers a variety of information and resources. Many of the questions in the Softball Q&A section are oriented to coaching but you can find a few references to college. There is a recruiting category under Articles that includes information on speeds and times. Athletic Recruiting and the Financial Aid Pre-Read. Yes, this is another one of my posts and I think it’s important information. Since the majority of college athletes are not going to receive athletic scholarships, families need to understand the financial aid process. Find the schools that will recruit you using the DIY College Rankings Softball Spreadsheet.